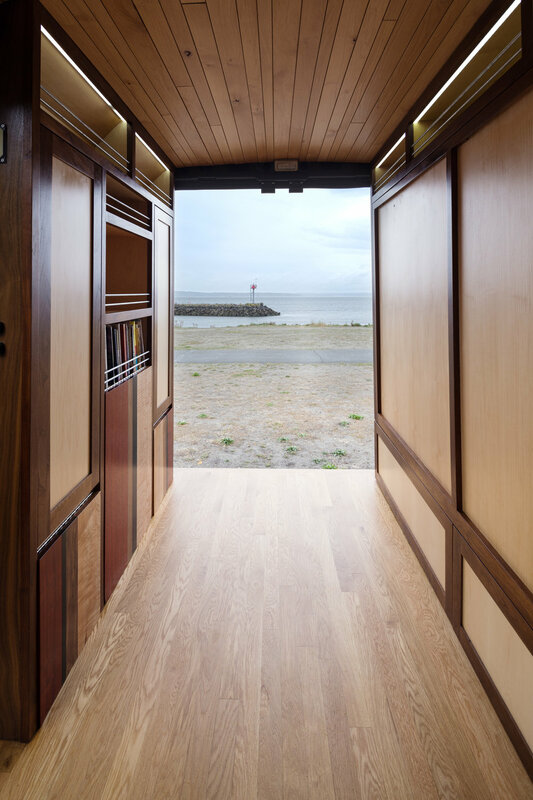 Designed for optimal floor space, everything folds up and out of the way. 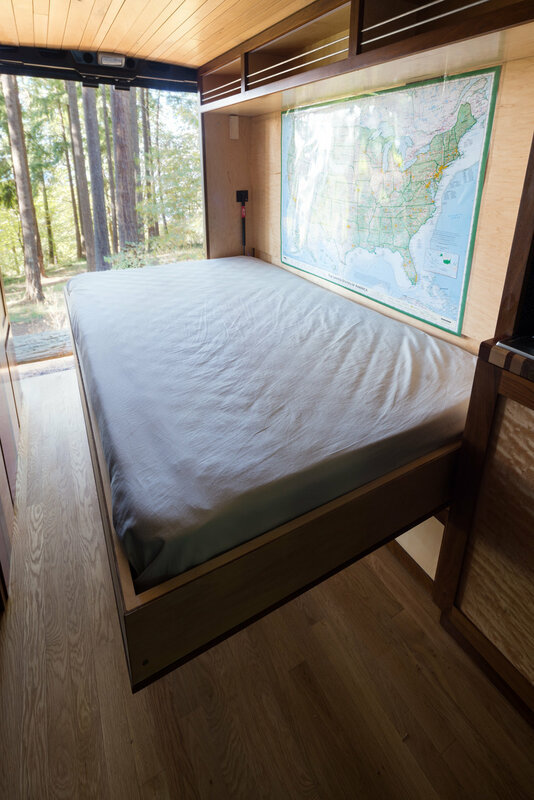 The most asked about and unique feature is the fold up bed. Built with a piston lift system and counter balancing to ensure smooth operation, the bed takes up just 16 inches in the up position. Opposite the bed wall is another flip up feature, seating for two and a large dinette table. The total area in the back has about 60 square feet of space. The conversion only takes up 17 of those with a bed, kitchen, table and 2 seats. Plenty of room for storage and hauling of gear. 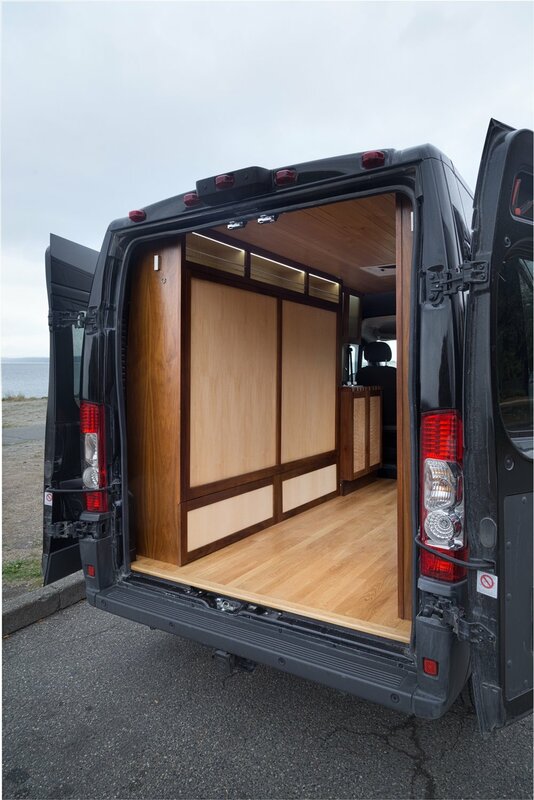 Built on a 2015 RAM Promaster 136" WB, the van was design to be used as a cargo van in conjunction as a weekend adventure van. 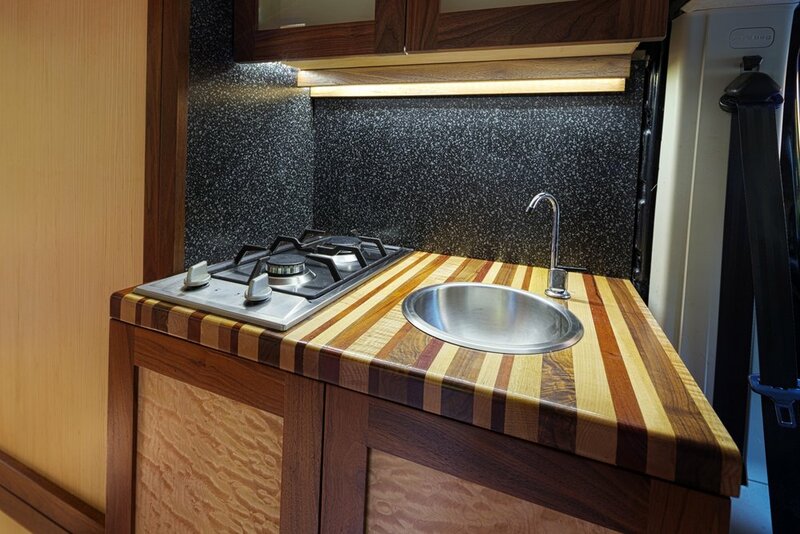 The van features a 320W solar system, hardwood oak floors, cedar accent ceiling, butcher block coutertop, dual propane burner, 33 quart refrigerator/ freezer, LED lighting, curly maple veener and walnut cabinetry and ample storage.